You know it will be a challenge, and you are not sure whether you can swim, bike, and run the distance. You are intrigued! This training program can help. 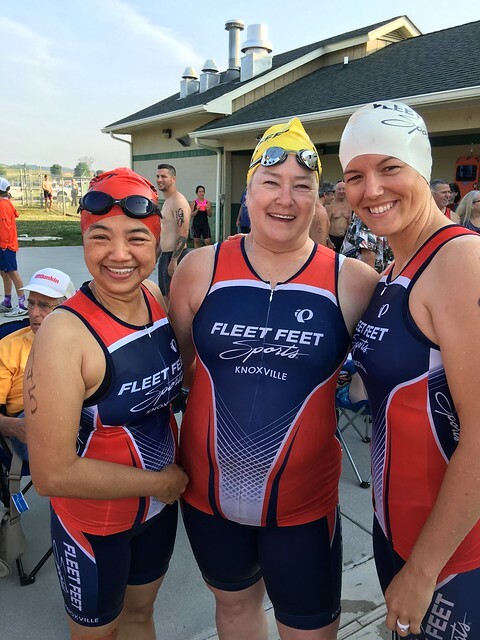 The goal of the program will be for an athlete to complete a sprint distance triathlon. This program is for the novice triathlete. To participate you will need at a minimum, running/walking shoes, bicycle, helmet, and a willing mind and body. If you want to take your racing to the next level, check out our list of recommended triathlon accessories. We'll supply you with the knowledge to complete your triathlon.You should be able to comfortably run 20 minutes to begin this program. Each training session will focus on a different phase of training, from swimming to transitioning. Triathlon Training Program participants receive: A complete training schedule and calendar with detailed workouts, pool swim training sessions at Davis YMCA, educational clinics including: bike maintenance, race day prep, transition set-up and nutrition planning, weekly e-mail from the coach with tips, advice and motivation/encouragement, e-mail support – the coach will answer individual questions regarding training and running related issues, technical fiber shirt and swim cap. Description: The goal of the program will be for an athlete to complete a sprint distance triathlon. This is a program for the novice triathlete. You should be able to comfortably run 20 minutes to begin this program.